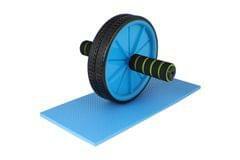 The ab wheel is a great tool to help you work on a more toned set of abs. The rolling action of the ab wheel trains both the upper and lower abdominal walls to give you a more complete abdominal workout than crunches or sit ups alone. Durable material and lightweight portable to carry. 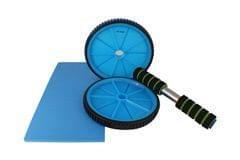 Has dual wheels for stability and non-slip handles for comfort. 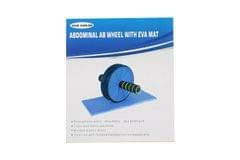 Designed to work and build the abdominal muscles.